Out in the mountains with his paleontologist father, a freak accident leads Zack to an earth-shattering discovery: a fossilised dinosaur egg. A once in a lifetime discovery. A find that could be worth a fortune! Zack takes it home to keep it safe. Only the egg isn’t fossilised – it’s hatching. And there’s an angry mother on the loose who wants her baby back. A prehistoric beast which is far from extinct… and out for a bloody revenge! 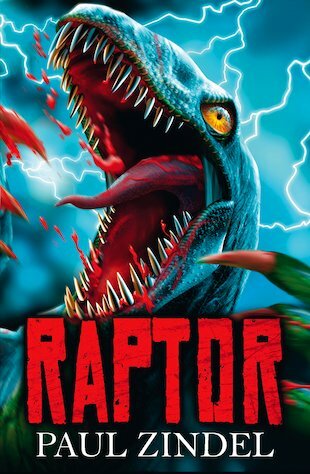 Gory, shocking and thought-provoking, this story of a raptor on the rampage will leave you with your heart in your mouth. In 2002 Paul Zindel was awarded the Margaret A. Edwards Award for his lifetime achievement in writing for young adults.